Sometimes I step away from the stock market and go to music festivals. For three days in April, the fourth annual Rock the Ocean’s Tortuga Music Festival in Fort Lauderdale featured country stars including Blake Shelton, Tim McGraw, Dierks Bentley, Sam Hunt, Thomas Rhett, Billy Currington, Kelsea Bellerini, Elle King and more. Judging by the crowds of nearly 90,000 music fans who flocked to Florida from 47 states and 16 countries, the festival was a huge success. Founded and produced by HUKA Entertainment, Tortuga Music Festival is country music’s first large-scale festival on the beach. In addition to showcasing three days of music on three stages, set in the sand at Fort Lauderdale Beach Park, the festival raises awareness and support for marine conservation with Rock The Ocean Foundation and the onsite Conservation Village. Best-selling country singer Billy Currington was one of several artists who made a return performance at Tortuga in 2016, headlining the Sunrise Stage on Day 3. Currington previously played the festival in 2014 and it instantly became one of his favorites of the year. After deeming Tortuga one of the “best gigs I ever had,” due to the amazing oceanfront setting as well as its important cause, coming back to the biggest country party on the beach, this year to headline the Sunrise Stage, was a no-brainer. For Currington, the importance of getting that initial exposure to fans as a new artist is something he can remember from the early days in his career. Even as a child, Billy knew that he wanted to be a singer. He started by singing in church choirs, and because of his talent, he often got lead parts. Getting the lead at his church made him feel special, which helped fuel his desire to sing even more. When people get off the cruise ships looking to see the sunset, Billy and his partner are there, selling coconuts for $5 each. A lot of the time, people don’t even realize that the guy cutting coconuts is a best-selling country singer with a string of hit records. The next time you visit Mallory Square in Key West at sunset and see a guy hacking coconuts, take a close look because it might be Billy Currington. Welcome to Brexit week. The U.K. is voting to stay in the European Union or leave, and global market volatility is expected to increase before and after the June 23 Brexit referendum. It should be a wild week for the markets. But for most investors, the odds of making money are probably better at a casino than trying to pick winning or losing Brexit stocks. Rather than choosing individual stocks, there is an options strategy you can use to potentially profit from Brexit: the straddle. When you buy a straddle, you simultaneously buy a call and a put using the same strike price and expiration. 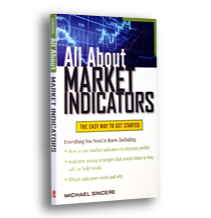 This intermediate strategy can bring potential profits no matter which direction the market moves. The caveat: It works only if the market makes a good-sized move in either direction, up or down. Although this strategy sounds too good to be true, like any options strategy, there are of course specific risks. 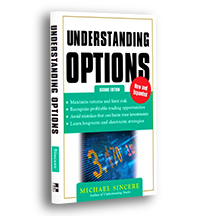 For option traders willing to take a chance to make many times their investment with limited risk, buying straddles is one way to profit. Low inflation, high volatility, and an overvalued stock market pose risks for investors, but those challenges also bring opportunities, say the experts at a MarketWatch panel discussion in London. The ideal market environment for buying straddles is just before a market-moving event, such as a Fed meeting, an earnings report, or a momentous financial event such as Brexit. No one can predict whether the market will rally or drop once the U.K. news is announced. There is also the possibility that the market will give a big yawn and ignore the decision. By buying a straddle, you are speculating that there will be a large enough price change (up or down) to more than cover the cost of the straddle. You don’t care in which direction the market moves, so long as it moves. To initiate a straddle, you will buy a straddle on the SPDR S&P 500 ETF, SPY, +1.22% . 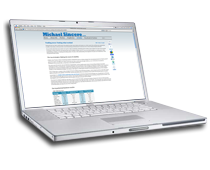 To reduce risk, I recommend that you limit the number of contracts you buy, especially if you are inexperienced. For example, on Friday you could have bought a straddle on SPY 206 July 15 (1 put and 1 call) and paid $7.67 (the July 15 call was $4.00 and the July 15 put was $3.67; total cost was $7.67, but that price will have changed by the time you read this). This trade would cost $767 for one, 100-share straddle, $1,534 for 2 straddles, and $3,835 for 5 straddles (plus commission). Typically, you will buy a straddle with an at-the-money strike price (i.e. the strike price is near the SPY price). One of the risks when making this trade is that implied volatility is expected to increase as Brexit approaches (implied volatility rises with anticipation and anxiety). This will push option prices much higher. In fact, one of the risks of this strategy is that you may overpay for the straddle. If you do overpay, you could still lose money even if the S&P 500 makes a fairly large move. If you do make this trade, use a nearby expiration date. Most importantly, under no circumstances should you hold either the call or the put until the expiration date. To reduce losses and lock in gains, sell both legs (call and put) within hours of the Brexit announcement, and definitely by the end of that day. In other words, sell the straddle once the news is known and the stock market has reacted. 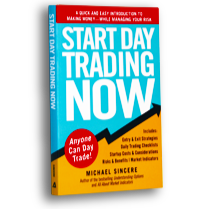 Time is your enemy when buying straddles, which is why you must sell quickly. You may choose to hold for several hours if you believe SPY will continue moving in the same direction during the day. Theoretically, the profit potential is unlimited for the life of the option, but in real life you will take your profits, if any, before the end of the day. The most you can lose on this trade is the initial amount paid for the straddle. You will lose the maximum only if you hold until expiration and SPY is still at or near $206 on the expiration date. Again, do not hold this straddle over the coming weekend, “hoping” you will make more money. That’s how traders watch profitable option positions turn to dust. Option traders rely on good odds, not hope. Because the S&P 500 fell below its 50-day moving average, and the MACD line crossed below the 9-day signal line, and could fall below the zero line, it’s time to pay attention. It’s not just the indicators that are signaling trouble. The dollar is rising (which pressures stocks), earnings were terrible, and the low-volatile market is struggling to gain traction. We will know more within the next two weeks or so, but it appears as if the market is setting up for a pullback. I have learned the hard way that it’s wiser to be a little late when buying (which is why I like probes). As I wrote in my latest MarketWatch column, when the market is going sideways, stay on the sidelines or probe with smaller share size or fewer option contracts. Actually, the market is starting to drift downward, and if it keeps falling, we could see a major pullback (my experienced technician friends say that if the S&P drops below 2030, look out below). However, as you’ve seen before, any pullback could be stopped in its tracks with a few words from the Fed (i.e. “We are not going to raise interest rates…”). Unless real fear hits the market, we could go in either direction over the next two weeks. In my opinion, the odds favor a downtrend, but it’s not a 75% probability. Therefore, it’s best to wait, watch, and probe. When a pivot point is finally confirmed, it could be “snapping time.” Until then, be patient, and be on guard. The market is starting to get interesting again. Although complacency is at an all time high (and the VIX at an all-time low), a credit event appears to be looming. This means that certain companies may have cash flow problems. Keep your eye on those deteriorating CCC high yield bonds, and read my MarketWatch article (below). The market climbed 13% in a month and many are saying the market will never go down again. This is what they say at the bottom, but with an opposite prediction. Bottom line: This is the time to get defensive, and if you are aggressive, start building those short positions. 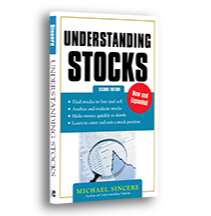 Hint: Buying puts is less risky than shorting, and if you are wrong, you know in advance how much you can lose. Note: If this credit event is for real, even the Fed will be unable to contain the damage (but they will try).